lifetime of pages: C'est Magnifique reveals the November Sketch ! 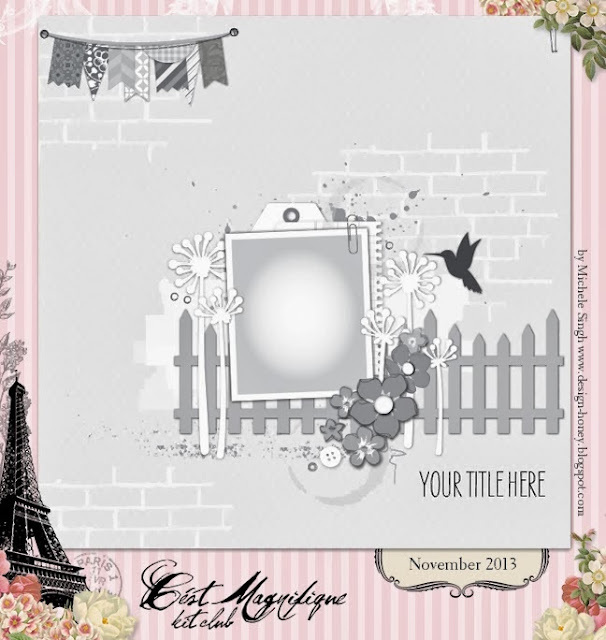 C'est Magnifique reveals the November Sketch ! and this is one of my faves. 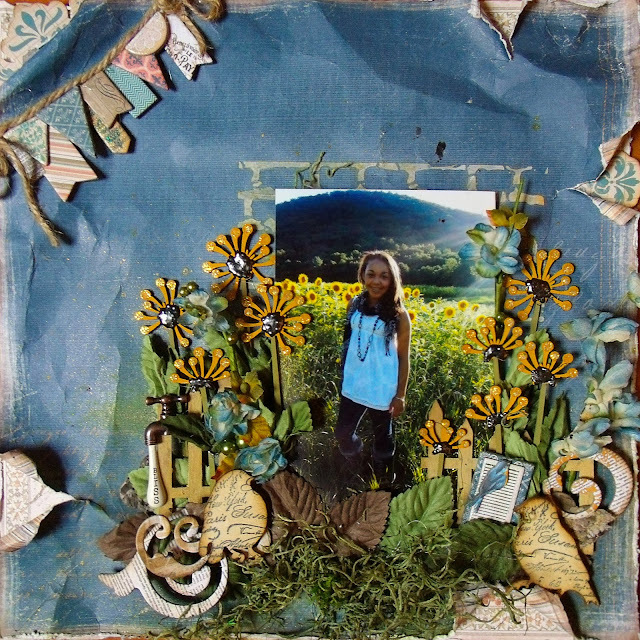 Except for the grass and the small peice of twine on the banner, everything on my page is from the kit. I altered the Blue Fern fence with Antique Linen crackle paint and painted the weed chippies to look like (sort of?) like sunflowers. I hit the ends of the petals with Diamond Stickles and used Black puffy paint for the centers. 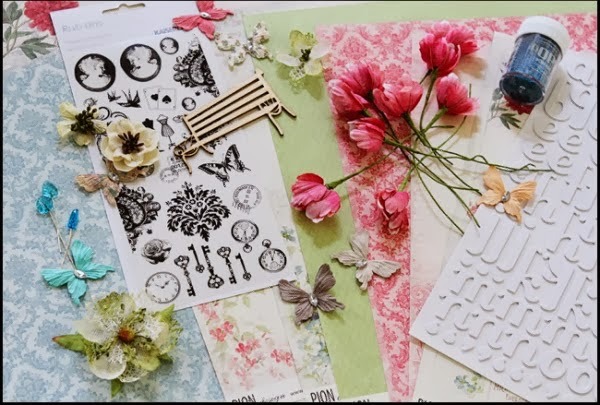 Hop on over to the C'est Magnifique Blog to see what the rest of the DT created for inspiration and how to enter the challenge! You do not have to be a kit member to play and you may use any supplies you wish. Hope to see your creations! My fave of yours from the kit this time although they were all fantastic! Love the way you created the nature effect, really great!! Beautiful layout, Tracey--gorgeous layers of details, all those yummy embellishments!! Oh my goodness, Tracey! This layout is absolutely stunning. I can't even begin to tell you how much I love everything about it. Especially the beautiful background. You ROCKED this gorgeous sketch!